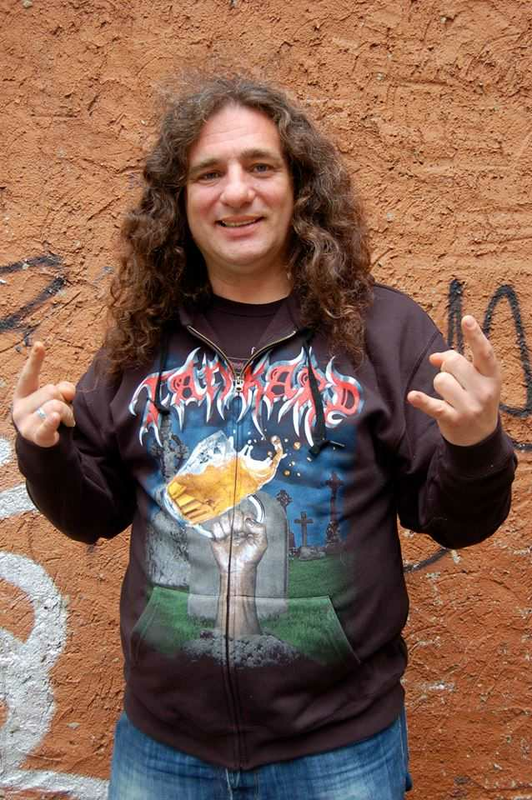 Ugly, Fat & Still Alive - Interview with Andreas Gerre Geremia of Tankard! 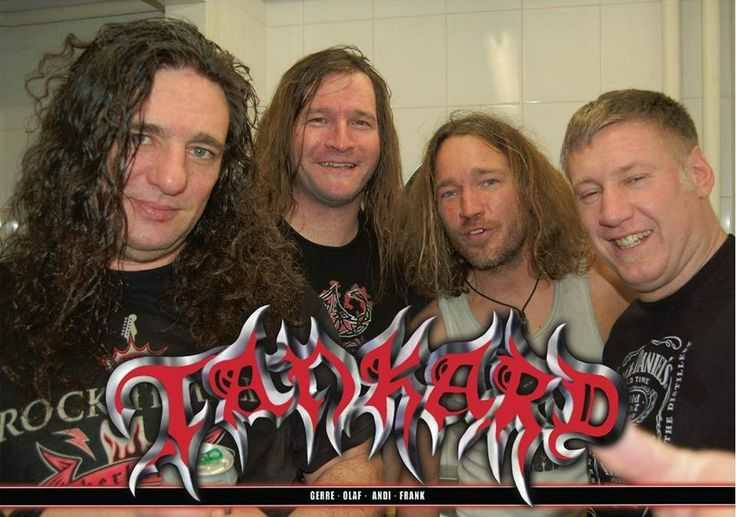 No one can talk about German Thrash metal without mentioning the legndary beer drinkers & hell raisers - Tankard! Even though they are officially a part of „ the Big Teutonic 4“ I always felt that Tankard was somehow underrated when compared with Sodom, Kreator and Destruction. Anyway, we were priviledged enough to interview their frontman Gerre. And it seems he still drinks the old way! Agoraphobic News:What are your favorite metal/non-metal bands? Gerre: My favorite bands are Overkill, Omen, Exciter, and Anvil…….and all the stuff I was grown up with in the eighties! Agoraphobic News: The Chernobyl explosion had a great impact on the creation of thrash metal genre. All of a sudden, the bands were terrified by this event, and everyone was talking about nuclear destruction, wars, and the end of the world. To what extent did Chernobyl explosion influence Tankard? Don't panic - it's just our world! Of course this was a little bit ironical, but very serious! Agoraphobic News: Can you recall the moment when you’ve heard about Chernobyl for the first time? Gerre: A couple of days after it happened in the news on television! Agoraphobic News:Fall of the Berlin wall was probably one of the most important things that happened in the past 25 years. Was there a metal scene on the Soviet part of the Wall? How long did it take for you guys to spread your music throughout East Germany? Gerre: There was a big metal scene in east Germany before the wall came down, everybody know a lot of metal bands, so there was no necessary to spread our music, everybody was into thrash and Tankard! Agoraphobic News: Is it true that you fell off the ruins of the Berlin wall and lost a tooth while shooting the video for Space Beer? Gerre: We did a video clip for space beer in the ruins, but I really can`t remember that I lost a teeth or something else; I guess this is another funny rumor! Hahahha………..
Agoraphobic News: Not many people know that you guys were playing in Romania after the fall of Nicolae Ceausescu. Can you recall that? Gerre: We played 3 shows in East Germany after the wall came down in the beginning of 1990, 2 shows in Aue, this were to solidarity shows for Romania! And one show in East-Berlin! The first time we played live in Romania was in the end of 2014°! Agoraphobic News: If I’m correct, The Meaning of Life album cover incorporates Helmut Kohl, Pope John Paul II, and Mike Tyson. What was the idea behind this album cover? Speaking of album covers, the alien-gremlin and mad scientist appear on them from time to time. Do they have a name? Gerre: The alien calls Alien and the other guy is the mad professor, but they don`t have really own names! Agoraphobic News:How would your music sound like if there was no beer at all? Agoraphobic News:What would you do if you were living in the USA during the prohibition years? Gerre: Opening an illegal bar called Speak Easy! -----if you prohibit things, there is always a way to get these things, that`s really for sure! Agoraphobic News: What is Andy Boulgaropoulos’s biggest trademark, his yellow guitar or his haircut? I hope that he still plays that guitar! Gerre: I think his biggest trademark was his Greek name……………we are still in good contact with him and he helps us writing lyrics. Really great to still have him! Agoraphobic News: Do you see any connection between the hippies and the thrash metal movement? Gerre: - Maybe resistance against the establishment, but I really think it`s difficult o compare these two movements because of different music and different time! Agoraphobic News: The lyrics of Maniac Forces are as relevant now as they were 27 years ago. How come that despite Kim Jong Un and Hillary Clinton rattling their nukes, even after Fukushima explosion and all these wars around the world, the thrashers remain silent? Gerre: After finishing the Cold War everybody thought that there is no more danger, but I really think that we live in very uneasy times and the danger something really bad happens is still there, so to play the song Maniac Forceslive is very up to date! Agoraphobic News: Disco Destroyer is one of the best album covers I’ve ever seen. It reminds me of Paul Baloff for the obvious reasons. But the real question is, were you thrashers destroying discos from Frankfurt to Frisco? Agoraphobic News: What do you think, what song has bigger chance to become a reality, Atomic Twilight or Octane Warrior? Gerre: That is really a very difficult question, first we going to have the wars about oil, later on there will be the nuclear overkill I guess. But hopefully this will not happen during the rest of my life. Agoraphobic News: Are songs Chemical Invasion and We still drink the old ways historically accurate? It would be nice to explain the lyrics of these songs to the fans! Gerre: Chemical invasion was about to change law in Europe putting chemicals in beer, We still drink the old waysis about that we only drink pure beer, only wimps and posers drink import beer. So these two songs are connected, but as always you don`t have to take some of our stuff not very seriously!!!! Gerre: I wouldn`t call them Nazis, but here are both criminals! That is for sure! Agoraphobic News:How did the German thrash metal scene look like back in the 80s and 90s? Were the bands competing with each other or was the scene friendlier oriented towards each others? Gerre: For my person: I never saw that as a big competition, I really love to meet all the old bands when we were playing together! We all sit in the same boat! The most difference was that everything was new in the 80s and we all were a part of the beginning!!! Agoraphobic News:It’s interesting to note that Sodom was the first, and Tankard the last band coming from the Teutonic Big Four to get the record contract. Did that affect Tankard’s career? I always felt like you guys were underrated regarding Sodom, Kreator and Destruction. Gerre: No that didn`t affect our career, we are 100% lucky with the things we do and we are very proud to be a member of the Teutonic four since a couple of years! Agoraphobic News: Are you guys working on a new album? Gerre: Yes, indeed! We go to studio in January and the album will be out in June I guess, next year we going to celebrate our 35th birthday, so we are really looking forward! Agoraphobic News:Is Tankard biography going to be translated to English? Gerre: Sorry there are no plans for a translation at the moment! Agoraphobic News: Is there any chance of Tankard playing in Serbia again? Maybe at Belgrade Beer fest (haha)? Gerre: We really would love come back to Serbia one day1 If there is an offer we will going to have another big thrash party together for sure! Agoraphobic News: Thanks for being fat, ugly and still alive! I owe you 666666 packs of beer for this interview! Zaječarsko is a beer from my hometown, and believe me, it’s as close as you can get to Space beer:) I hope that we’ll meet in person sometime in the future! Gerre: Thank you for your big support! Hopefully we gonna have a beer together one day!!!! !